Thailand is one of the most appealing holiday and wedding destinations on the planet. There is no doubt that Thailand is one of the most appealing holiday destinations on the planet, which is why the Kingdom attracts an increasing number of visitors from overseas every year. The stunning scenery, exotic culture and spicy cuisine make it a hit with millions of people who touch down on its shores, and the country's tropical islands and beaches remain a major attraction. The expanse of Thailand’s mainland covers approximately 513,120 sq km, making the Land of Smiles slightly larger than Spain. The Kingdom is home to a number of distinctly different geographical regions, from the mountainous provinces of the northwest, the Korat plateau in the northeast and the Chao Phraya river valley that dominates the centre of the country. 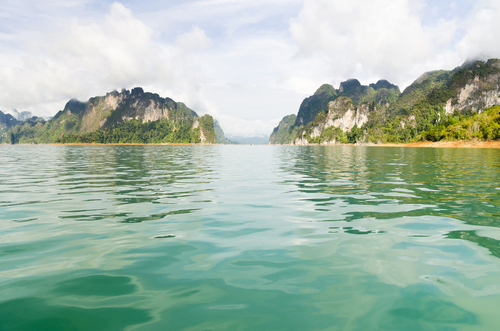 The waters of the Andaman Sea and Gulf of Thailand are perhaps the areas that attract the most visitors. The Gulf of Thailand is home to the idyllic Ang Thong National Marine Park, a vast archipelago of islands including Koh Samui, Koh Koh Phangan and Koh Tao. Koh Samui’s reputation as a private villa destination has exploded in recent years. The Andaman Sea boasts many more of Thailand’s island jewels, including Phuket, the Kingdom’s largest and most visited island. The coasts of the Andaman Sea are also home to many more popular beachside resorts including Krabi, Ranong, Phang Nga and Trang with more secluded and uninhabited islands peppered off their shorelines. Bangkok is a major international hub and direct flights arrive and depart from almost every country in the world on a daily basis. The capital boasts two airports: Suvarnabhumi, which handles the majority of aircraft and Don Muang, which is exclusively for low cost carriers, and mainly Air Asia. Unlike some of its less developed neighbours, Thailand boasts a solid infrastructure, which makes travelling around the country relatively painless. Budget airlines like Air Asia offer economic flights to northern regions like Chiang Mai and south to the islands, which take little more than one hour. If you are travelling on more of a budget, Thailand’s network of trains, buses and boats offers comfortable and reliable service to millions of tourists each year. 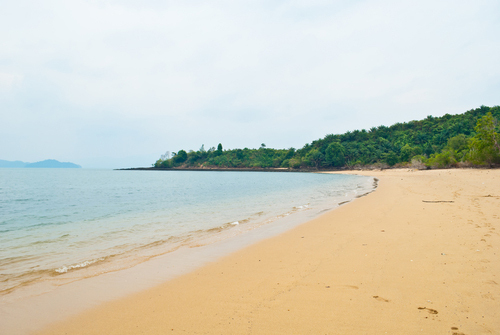 One of the main things that attracts visitors to Thailand is the warm climate. There are two main seasons: hot and wet, but the weather is warm year round. 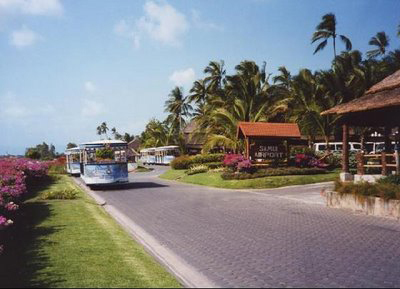 The best time to visit is during the cooler season, which runs from November to February. The weather is still warm and generally dry during these months, with temperatures in the capital Bangkok ranging from 18 degrees Celsius to 32 degrees Celsius. Thailand’s hottest season runs from March to June, with humidity levels often climbing to highs of 75 percent. The country’s “wet” season falls between July and October. However, Thailand’s monsoon season can be quite unpredictable, so you needn’t expect constant downpours, even when visiting at this time. Thailand’s currency is the Thai Baht. THB30 equates approximately to US$1. It is easy to change your currency anywhere in Thailand, whether in the airport, in one of Bangkok’s busy shopping malls or down o the islands. It is also possible to use foreign cards at the majority of ATMs throughout Thailand to withdraw local currency. 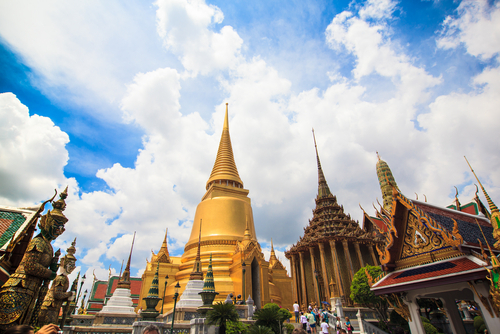 Thailand’s rich culture encompasses influences from India, China, Cambodia and other neighbouring Southeast Asian nations. The national religion of the Kingdom is Theravada Buddhism, which forms a major part of modern Thai identity. Thailand is also home to a constitutional monarchy and its current King, Rama IX, is the head of state. Although the King is the country's figurehead, he and the rest of the royal family command a great deal of respect and admiration from Thai people. When you visit Thailand, there are a view cultural "do’s and don’ts" that should be observed. The traditional form of greeting is known as a “wai”. When two people meet, they will wai each other by pressing their hands together with the fingertips pointing upwards to the face as a sign of respect. It is customary for males to say “Sawasdee krap” and females to say “Sawasdee ka” when they wai someone. Like other Asian cultures, respect for elders is another important custom for visitors in Thailand to observe. Visitors should also be careful to avoid stepping on any toes by learning about Thailand’s cultural taboos. It is considered extremely disrespectful, for example, to touch another person’s head or point at something with your feet. Public displays of affection are also unusual in traditional Thai society. Many foreign couples now choose to get married in Thailand, cutting wedding costs that are often unfeasibly high back in their native countries. In Thailand, first-class service in a five-star location is still available at a fraction of the price in the West and value for money is still an achievable goal. Another reason Thailand is becoming so popular as a spot for destination weddings is the fantastic scenery on offer. 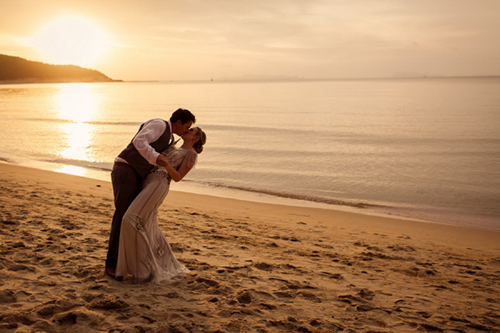 The picture-postcard beaches of Phuket and Koh Samui provide an unforgettable backdrop to any wedding and as the number of tourists to the Kingdom increases, the hospitality sector is upping its game in order to meet the demand. The country is not only home to a wide range of resorts, but also an increasing number of luxurious private villas that offer couples the perfect personalised venue in which to tie the knot. The natural generosity of Thai people and the impeccable level of service available is another bonus and wedding planning agencies in Thailand are used to working hand-in-hand with couples long before they arrive in the Kingdom to make sure they enjoy a wedding day that lives up to their fantasies. Professional wedding planners at reputable agencies like The Signature Weddings are able to help organise the venue, catering, decorations and entertainment, creating a truly tailored wedding celebration that the couple and their guests will never forget.